IMA Active's new tablet press machine installed in Germany. 67 employees. In this context, the installation of Prexima 300, IMA Active’s new tablet press machine, took place at the beginning of this year. What was bmp’s main reason for choosing Prexima? We had an old tablet press machine, which did not match our requirements any longer. Prexima is an innovative solution, which also proves to ensure optimal performance even with the most difficult-to-handle powder substances. Prexima’s compact design and its reasonable price add to this convincing package. Our quick decision was followed by a quick delivery time. Three months after the purchase order we were ready for the SAT (Site Acceptance Test). Other manufacturers offer 6-7 months delivery. These were the main reasons for choosing Prexima. How does Prexima meet your requirements? Prexima lifts our production to a higher level of efficiency, also with tablets of big dimensions. The overall tablet quality is always assured: Prexima keeps the tablets uniform in terms of weight and hardness. In addition, Prexima simplifies maintenance. Limited surface contact with the product reduces cleaning time and prevents contamination. The XIMA interface helps the operator with running manual procedures, step by step. The result is a machine that maximizes the operator’s comfort. 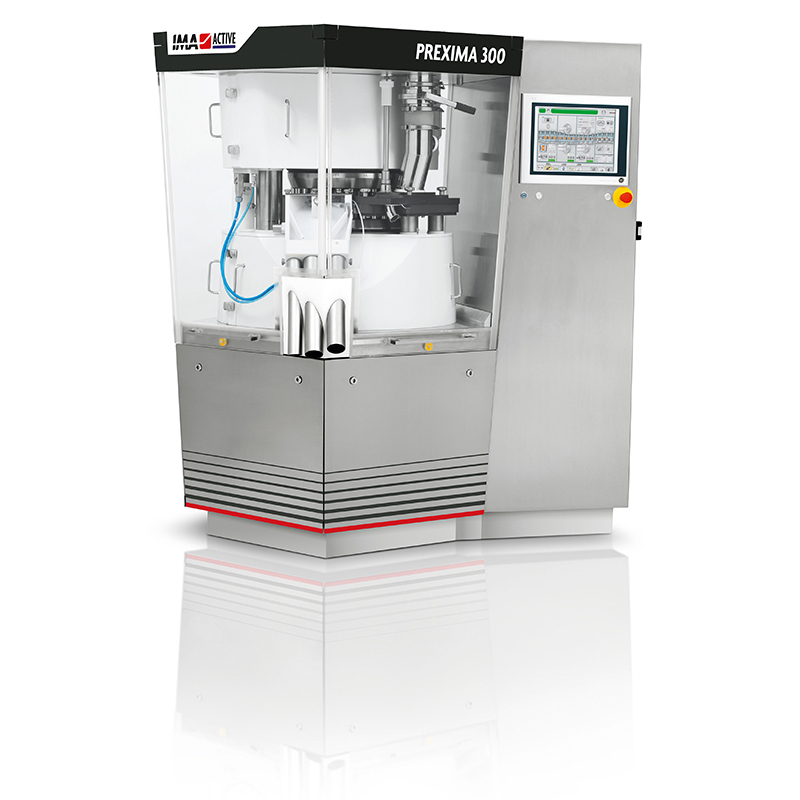 In short, Prexima offers the perfect balance between ideal production conditions and easy maintenance. How was the collaboration with IMA? We do have a privileged contact within IMA, who always supports us with good advice. This time even more than usual. IMA product managers communicated excellently with our technicians. IMA designers worked side by side with us to define the project’s specifications. We faced only a single problem on the machine. A qualified IMA technician provided prompt and excellent support within 24 hours after our call. The market offers only few manufacturers capable of meeting such high standards in after-sales technical assistance. IMA is definitely one of them. We have been successful in expanding our production of pharmaceuticals by increasing business with existing customers and by acquiring new customers and production contracts. To support this trend, we plan to extend our range of machineries in the coming years. After the new Prexima, the next step will be the installation of a case packer machine. In a couple of years, we will install two new capsule filling machines. We are focusing on the acquisition of medium to large production contracts for solid dosage forms.